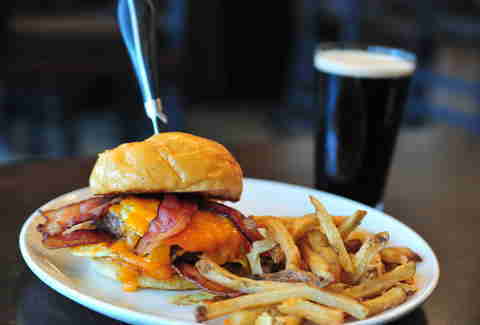 Denver's restaurants are smoke-free -- even LoHi English pub Churchill's, where you'd think they'd at least allow Winstons. Just as the name of the pub offers an ode to one of their great prime ministers, the food/ drink also rep Great Britain proudly, including "traditional pub food with a modern twist" and plenty of British beers on tap. 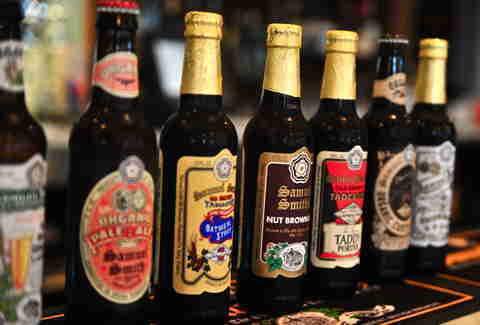 British brews are all over the menu, with a wide variety of Samuel Smith bottled beers, and draft highlights like Fuller's London Pride and Black Thorn Cider. 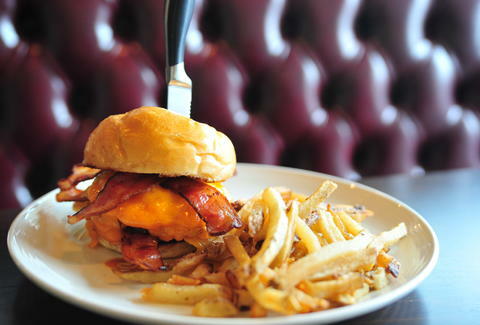 The Double Decker burger is essentially the size of the bus it's named after, as it's piled high with bacon, cheddar, and two fried eggs (one on top, one on the bottom), all smashed together between a Breadworks bun. 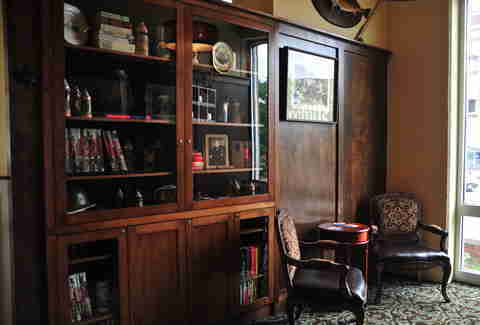 The feel of a homey English pub is replicated with dark wood floors, community tables, leather booths, and old newspapers on the walls, because it's much less comforting to see framed printouts of the front page of CNN.com. 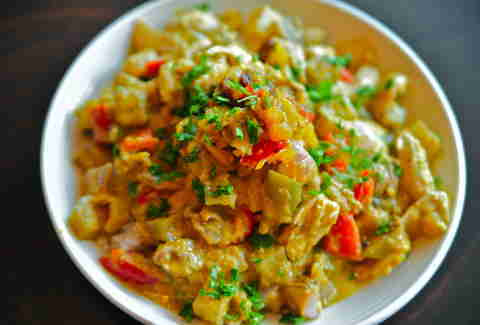 The Brits love their Indian food, and Churchill's comes through with a coconut chicken curry, a dish replete with potatoes and peppers in a mint-mango chutney. You don't need an interest in Doctor Who to enjoy the BBC, aka, the Beer Battered Chicken, served with English chips and carrots. 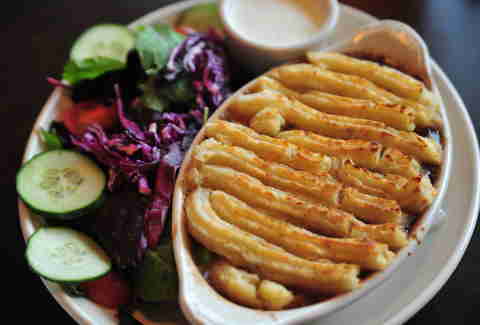 The Shepherd's Pie gets a local spin, as it's prepared with CO lamb simmered in a veal gravy with peas, root veggies, and mashed potatoes. 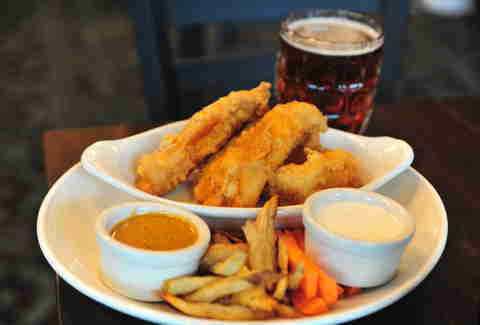 For lovers of other traditional pub fare like fish 'n chips, they're also plating tempura fried tilapia. 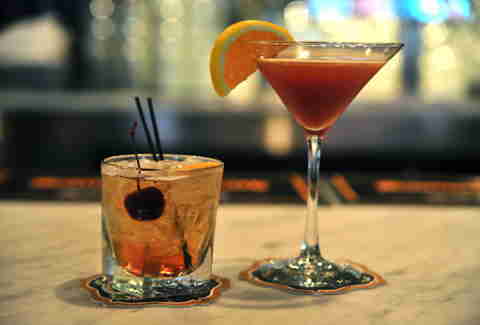 Enjoy a nightcap with the Scotch-filled Blood & Sand cocktail or a Huntsman Old-Fashioned with Wild Turkey -- a drink perfect for any PM to enjoy in the PM.